The N’Amerind Aboriginal Community Justice Program (NACJP) is a post-charge diversion program within the London and area for Aboriginal people (Status, Non-Status, Métis and Inuit) who are in conflict with the law. This program uses a holistic community based approach to the resolution of conflict and social order. The NACJP has a complete understanding of the contemporary issues that face Aboriginal people and developed a directive that is grounded in cultural values and beliefs. This program is designed to suit the needs of the local community and its people. · The individual applying for the NACJP must accept responsibility for their actions that lead up to the charge(s); individuals must agree to deal with the consequences of these events. Located in Windsor, Ontario this program provides support to families with children, ages 0 to 6 years, through provisions of holistic healing and preventive service. Services are made in a cultural based manner that targets the preconception, prenatal, post-natal, infant, toddler and pre-school years of the child. The Family Support Program has been developed to attend to the needs of the parents of the community and their children. To add support and give guidance in the development stage of the children’s growth and stability. To Provide parents with a chance to get out and interact with parents with the same needs as themselves. A Network of the Ontario Federation of Indian Friendship Centres a part of the Government of Canada's Aboriginal Human Resources Development Strategy (AHRDS) which is designed to help Aboriginal people prepare for, obtain and keep jobs. The AHBHC Program was created as a way to support families in celebrating and honouring new and young life in the Aboriginal community. The AHBHC Program is a prevention and early intervention strategy of services for families with children prenatal to 6 years of age by Identifying the needs and strength of families. The AHBHC Program workers are advocates to Urban Aboriginal families and communities. They provide various services for example to name a few. Home visiting, transportation to doctors, dental or food bank appointments, connecting parents to valuable supports and resources in the community, providing referrals for various support services. Intake and information gathering; providing family support, information and education to the family; provide post-natal contact within 72 hours of return home; and recording baby’s weight. Intended to identify and build program/service linkages; identify additional support and resources that may be required ; referring the client/family to other screening services and support services. Service Plans are reviewed and updated as required. Connect or linking the family to programs and services to support baby/child healthy development. Activities are focused on individuals and groups. They are open to the community at large ex; moms, dads, grandparents, aunts and uncles after a intake process to become a participant of the program. These activities involve gathering information about and developing contacts with Aboriginal and Non-Aboriginal organization's, services and their representatives to increase the client and family knowledge of support and access to these services. · Explore options on birth ex; hospital , home, natural, birthing centre, etc. We provide information and education to interested persons and other organizations. 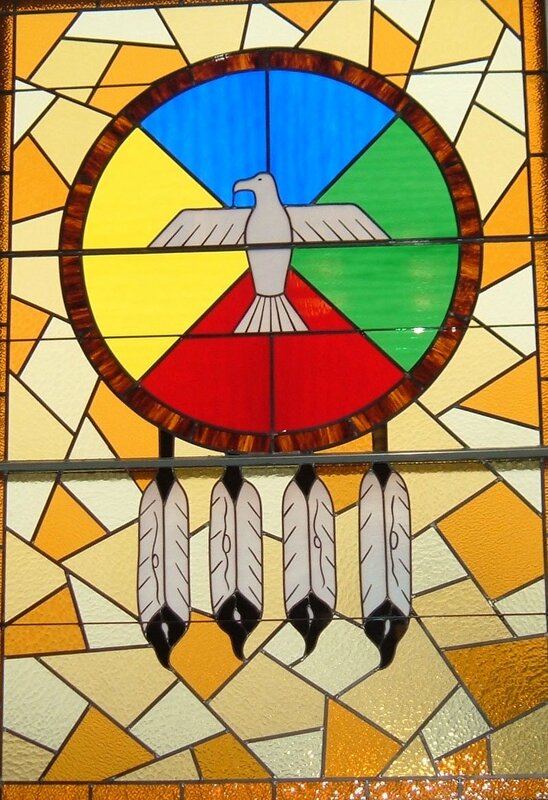 The Aboriginal Alcohol & Drug worker is a certified red path facilitator, native mental health and addiction certified, plus over 15 years experience working and helping familes, individuals & communities. A recreational, cultural and education al activities for children 6—13 years of age provides van pick-up/take home service. Parents/guardians are welcome to participate in this program. The purpose of this program is to improved the health of Aboriginal mothers and their babies. We offer a holistic and culturally sensitive prenatal and nutrition program with per/post natal information, food supplements/vouchers, transportation, support counseling, pre/post natal classes, scheduled drop-in times, special tours and outings, gift bags for newborns. To provide urban Aboriginal moms with the opportunity to receive accurate information so they may make healthier choices for both themselves as well as their families. The goal of the program is to improve the health of at risk Urban Aboriginal mothers and their babies up to six months of age. This is done in a holistic and culturally sensitive way. The Family Court Worker program is designed to assist Aboriginal youth and families in contact with family, child protection and youth court to better understand their options, responsibilities and right when appearing before the courts. As well to visit secure and open custody facilities and/or institutions to see Aboriginal clients in order to provide information and moral support. The Family court worker is knowledgeable of and works with community agencies to make proper referrals to the clients. Courtworkers provide services to all Native people who require them, in strict confidentiality. · Courtworkers explain the court process, the reasons for their arrest, their legal rights and responsibilities regarding the charges against them. · Courtworkers can explain to an accused the meaning of decisions that the court may make regarding their detention before trial or release on bail, and explain any conditions imposed. · Courtworkers can help prepare Pre-Sentence Reports to ensure that the background of a convicted Native person is properly presented. · Courtworkers can explain to a person placed on probation what this means and what is expected. · Courtworkers can work with community agencies to help the accused meet their immediate and long term needs and goals. · Courtworkers can make contact with the area Native Inmate Liaison Officer if the accused is sentenced to a provincial institution or federal prison. · Courtworkers can visit Native inmates in the jails in their area to provide information and moral support. · Courtworkers assist victims of crime by explaining the court process and making them feel less intimidated by the process, giving them moral support and basic counselling. Courtworkers promote the Aboriginal Community Justice Program, assess if the client is eligible for the program and make referrals. They work with the program coordinator, lawyers and crown attorneys to better assist the client. Although, Native Courtworkers know about the law and the justice system, they are NOT lawyers. Courtworkers do NOT supervise bail or probation, but they will make sure the accused understands exactly what the conditions mean. The main job of Native Courtworkers is the help Native people in conflict with the law. However, they also play an important and expanding role in their communities. · Courtworkers can explain to the family of an accused person or to the Native community the nature and meaning of the legal steps being taken against an accused person. · Courtworkers can conduct public legal education workshops for the Native community. · Courtworkers can aid in the development of preventative programs, to reduce the rate of crime in their communities. Courtworkers can serve as resource people in training sessions for justice system officials, to help them better understand the culture, needs and aspirations of Native people. And service delivery to urban Indigenous children, youth and families that fosters a strong sense of well being and positive Indigenous identity. The Cultural Resource Coordinator (CRC) is a single-worker program. The position has responsibility as the point person in the Friendship Centre who provides a consistent cultural framework across the Centre and programs. The position coordinates and supports all aspects of cultural knowledge transfer and planning within the Friendship Centre. CRC provides or facilitates access to traditional teachings and ceremonies in a safe and acceptable environment and works with Elders and traditional people as needed, and using a prevention lens, to meet the needs of children, youth and families as a priority. The CRC works to promote cultural awareness, safety and competency within the Friendship Centre and Friendship Centre communities. The Cultural Resource Coordinator may also provide language supports and culture based healing, which focuses on children, youth and family well-being, while supporting multi-generational healing and reconciliation. The Cultural Resource Coordinator will also liaise and advocate to/with other service providers and institutions as needed. Coordinate culture/social nights and community feasts, Elder socials and Elder/senior appreciation activities and Elder/youth knowledge exchange /mentorship activities Coordinate land-based activities, e.g. fishing, trapping etc. 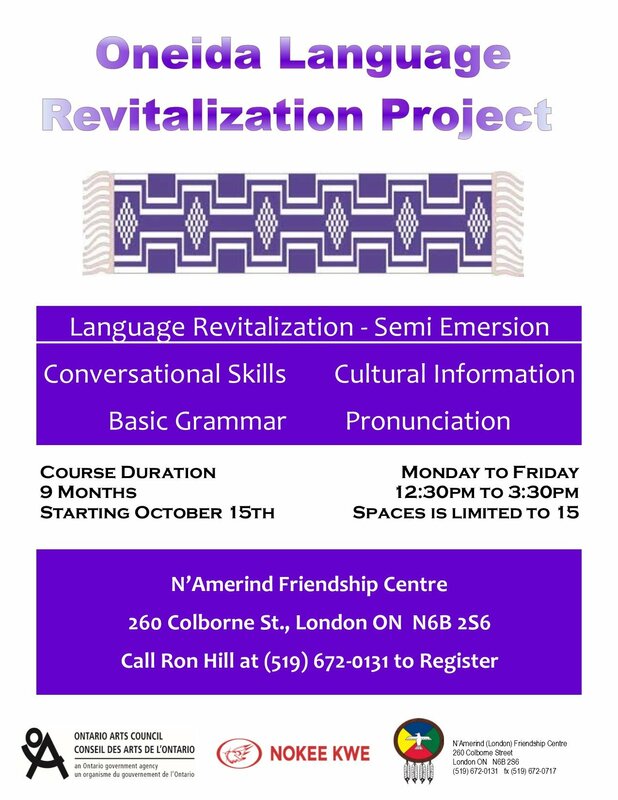 This program is designed to realize the cross-cultural educational component of N’Amerind Friendship Centre mandate. To ensure the cultural component of the Friendship Centre is maintained and the effective dissemination and retrieval of current cultural resource material. · To assist others with information, referral, research, workshops and/or speakers. · To offer an accessible place to research issues pertaining primarily to Aboriginal People. · Provide materials to help people understand the ways of Native Life. · To assist individuals who desire an understanding of the past present and future of Aboriginal People in Canada. The Dorothy Day Learning Centre is equipped with desks, audio visual equipment. Computers are available in the Learning Centre as well as in the Computer Lab. To ensure equal access we request all material remain in the Learning Centre unless arrangements have been made and borrowed using the Borrowing Card available within the Learning Centre. In recognition of the significance of volunteerism to N'Amerind's existence; And in memory of the most dedicated and long standing volunteer of N'Amerind's history; We officially commemorate and declare open the Dorothy Day Learning Centre named after the late Dorothy Day. The purpose of s.718.2(e) is to respond to the problem of over-incarceration in Canadian prisons and, in particular, to the disproportionate incarceration of aboriginal peoples. The goal of the N’Amerind Gladue Writer Programme is to produce reports that address the systemic factors which often play a part in bringing the specific offender before the courts and to highlight the types of sentencing approaches that might be appropriate to the offender because of his or her Aboriginal heritage. However, the Gladue Report is not a means to reduce or lighten a sentence. An appropriate sentence should reflect, but is not limited to, the gravity of the offence committed, the harm to the victim/community, and the degree of responsibility demonstrated by the offender. Therefore it must be fully understood that an offender may still receive a sentence of incarceration if it is appropriate in the circumstances. 1. Self-identify as an Aboriginal Person. 2. Either: have plead guilty to a criminal code offence OR have been found to be guilty of committing a criminal code offence AND if incarceration of more than 120 days is expected. 1. Either a judge, defence counsel or crown attorney can request the completion of a Gladue Report prior to sentencing. 2. The completed Request form will be submitted to the N’Amerind Courtowrkers. 3. If eligible, the report will be completed on a timely basis. 4. Only cases that are in the London Courts will be eligible for a Gladue Report. Gladue is a sentencing principle that acknowledges Aboriginal People face racism and systemic discrimination within the criminal justice system and in Canadian society in general . It is a tool for analysis in implementing the remedy legislated by the Supreme Court of Canada to address the over-representation of Aboriginal people in custody. Gladue is not a get out of jail free card, or sentence-discount case! 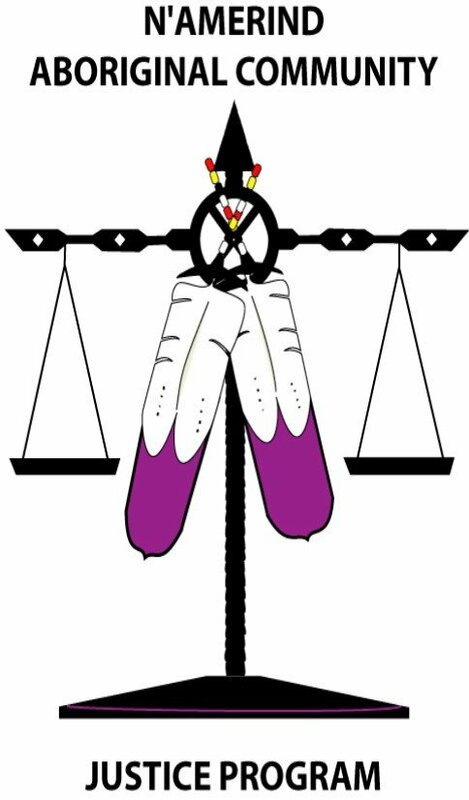 All sentencing princples -denunciation, deterrence, rehabilitation, protection, reparation, and responsibility - still apply to all Aboriginal offenders. The Gladue Aftercare Program will aim to provide supports to Indigenous peoples to create a plan of action following the recommendations as outlined in their Gladue Report. The Gladue Aftercare Program will coordinate and support all junctures of implementation and planning. Taking a holistic approach, the program will provide or facilitate access to services deemed necessary to meet the needs of the individual. 1. To build upon the plan and goals within the Gladue Report, proactively addressing the immediate needs of the individual, in addition to assisting with any underlying issues. 2. To facilitate increased access to services, both within the Friendship Centre and with the broader community. 3. Ongoing review of progress and support requirements of the Gladue Report action plan, identifying additional supports/resources that may be required. The Indigenous Families First program - IFFP (formally known as Community Liaison program) was designed to address identified gaps in service for urban Indigenous families involved in the child welfare system. Staff work alongside clients during this time of crisis and psychological/emotional strain to provide assistance to parents/caregivers in promoting the well-being of the family unit. The objective of the program is to foster positive relationships within the family, as well as, work together in reuniting families, and keeping children in the home/family/community and out of foster care. Our staff assist families involved with the child welfare system by providing advocacy, guidance, support, as well as, addressing parenting issues which may result in CAS involvement. The IFFP offers a Traditional Parenting Program which includes cultural teachings in promoting healthy families. We connect clients with a network of support services including children supports, justice services, shelters, addiction services, school programs, and mental health services. Through this program, we will be able to provide band rep support for urban community members from distant First Nations or First Nations who do not have band reps to service their urban members. Through a Band Council Resolution, we can provide the needed supports for the First Nation and their urban members involved in the child welfare system. The IFFP additionally facilitates a Supervised Access Visit program which provides a safe and supportive setting in a culturally promoting environment, where visits and exchanges between children and their non-custodial parent can take place under the supervision of trained staff. *Please note, priority is given to families involved with CAS and under the discretion of the IFFP Worker. Current waitlist approximately 6-8 weeks. Ensures the healing and wellness needs of Aboriginal people are met, in order to reduce family violence through promotion of healthy lifestyles. Culture-based programming and healing methods are provided. At a time when violence is invading whole communities, Kizhaay Anishinaabe Niin reminds us that violence has never been an acceptable part of Indigenous culture. The overall purpose of the Kizhaay Anishinaabe Niin program is to end all forms of violence. Is a culturally relevant program that supports healthy relationships and promotes Indigenous identity. This is accomplished through one-on-one supports, group based services, participation activities, networking and partnership building! Improved self-esteem and sense of identity amongst Urban Indigenous men within the program! Reduced instances of violence from men who have received program supports including those who were reintegrated into the community! Reduced stigma around conversation on violence! Increased collaboration between Friendship Centres and Delivery Sites, levels of government and other organizations to support efforts to reduce instances of violence! One-to-One Peer Counselling to build and practise alternatives to violence! Community engagement to end the silence and stigma surrounding violence! Community re-integration for individuals involved with the justice system! Workers and facilitators embrace the “Seven Grandfathers’ Teachings” Wisdom; Love; Respect; Bravery; Honesty; Humility and Truth to work toward ending violence! To assist aboriginal frail, vulnerable and at risk elderly, chronically ill or disabled people of any age to live independently and reach their highest potential for well being. Support is given to clients through information referrals, advocacy and assistance to access health care services within the local urban area and Aboriginal Community. Counselling, Training Information, and Education is provided to assist and support the mental, emotional, spiritual and physical needs of the caregiver and client. * Are you a good listener? * Knowledge of Traditional Teachings? * Willing to share your native crafts ideas? The Mental Health Support Program was developed by the Ontario Federation of Indigenous Friendship Centres, as a part of the Open Minds, Healthy Minds Strategy to improve Indigenous mental health and well-being. It is funded by the Ministry of Health and Long-Term Care. The Ontario Federation of Indigenous Friendship Centres designed Mental Health Support Program promotes a Good Mind through cultural-based mental health and supports. The program merges the existing Aboriginal Community and Mental Health and Aboriginal Alcohol and Drug Worker Program expanding the service of providing wholistic support. To strengthen a Good Mind and promote mental health and well-being for Urban Indigenous people. > To improve physical well-being for individuals and families through the promotion of lifestyles and activities. > To improve mental well-being using strengths-based approaches to achieve and maintain a good mind. > To support and improve individual and family emotional well-being and the ability to recognize and maintain healthy relationships, and …. > To improve access to cultural knowledge and activities that foster self-respect and identity. The Mental Health Support Program provides wholistic and culture-based supports to be responsive to the needs of mental health and addictions for Urban Indigenous individuals and families. The program implements trauma-informed and strengths-based cultural approaches to address community-based mental health and well-being concerns. The Mental Health Support Program Coordinator delivers individual and group services including peer-counselling, sharing circles and other traditional and land-based activities that support the achievement of a Healthy Mind. Indigenous people that self-identify as First Nations, Inuit or Metis seeking to recover from or affect a change in alcohol and drug use, mental health and/or gambling abuse lifestyle. One-on-one supports are intended for adults. Activities that promote a Good Mind and provide substance-free opportunities for community members and families to extend to all ages across the life cycle. This program is to help support community members increase their physical activity levels and their over all healthy choices towards a well balanced life style. The 4 target groups are children, youth, women, and seniors. Are you interested in ……. ¨ Gaining more knowledge of healthy eating, traditional foods/diet, and healthy weight management. ¨ Participating in organized sports activities, physical fitness and recreational activities. ¨ Developing leadership skills through youth leadership programming and positive community activities or collecting community volunteer hours. Although the U.A.H.L program has targeted programs there is also a wide range of activities/event for the whole community where you can participate in. Healthy eating and weight management is always available with information and referrals to help support your efforts and lifestyle changes. Smoke Free support is also available to community members that are ready to seek out quitting options and find support people to help you make the right choice for you. Annual events happen all throughout the year for the whole family such as Annual Community Picnic, Beach Day, Back to School BBQ, Halloween Costume Swap, Family Halloween Dance, and craft nights etc. Keep an eye out for event flyers and posters. There is always something fun happening!!! Children—Encourage daily physical activity and healthy lifestyle habits early on is important for childhood development. Youth— Discover their leadership skills and increase their physical activity levels. Stimulate the body and mind that can help develop life skills and support them as our future leaders. Women— Provide opportunity to connect with other women and to engage in some “stress-free” self care time an to encourage and support exercise as a healthy lifestyle habit. Seniors—Regular activity can help maintain health and independence and prevent many health issues. Specifically designed to provide culturally appropriate services and programs for at risk Aboriginal Youth aged 13-18. An alternative program offering Secondary School curriculum, also including Life Skills and Native cultural teachings was designed to help encourage Native youth to continue with their education. The Native counselor helps with their education, assists the native students attain their personal and educational goals.